Early 1, 900's Victorian Tri-Plex. Remodeled over the years, the last remodel was done in 2010. New electrical and plumbing. Natural gas meters. Great Condition, Excellent, long term tenants. 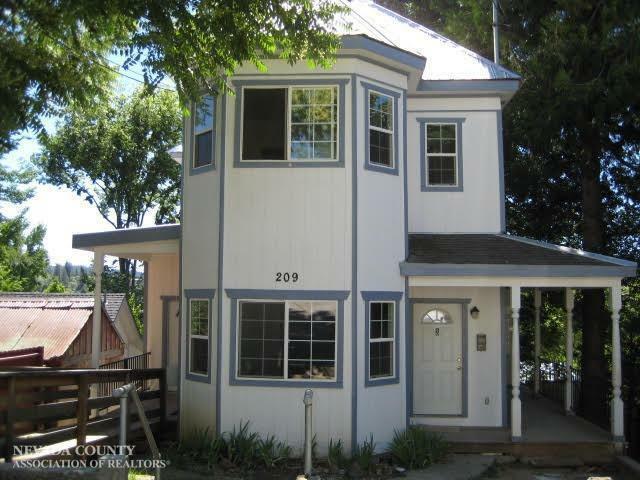 Good income producing property in the sought after downtown area of Grass Valley. Only a few blocks to the Del Oro Theater. Off and on street parking. There is stand up, general storage under the structure for tenant or landlord use. Possible additional income as storage unit or finish out for a fourth unit. Seller currently using as personal storage.